My mind has been swimming in numbers and maths and equations I’ve never seen before in my life these past few weeks, getting into my dreams and driving me a little bit up the wall. One thing to keep me distracted is looking at more Maths! Yay! Y’all need to know this: What’s the most cost-effective exercise book to use for notes n’ stuff for your studies? One of the most important thing to keep in mind is to think ahead. During January, most, if not all bookshops put their exercise books on SALE. We’re talking 87% off per book here! 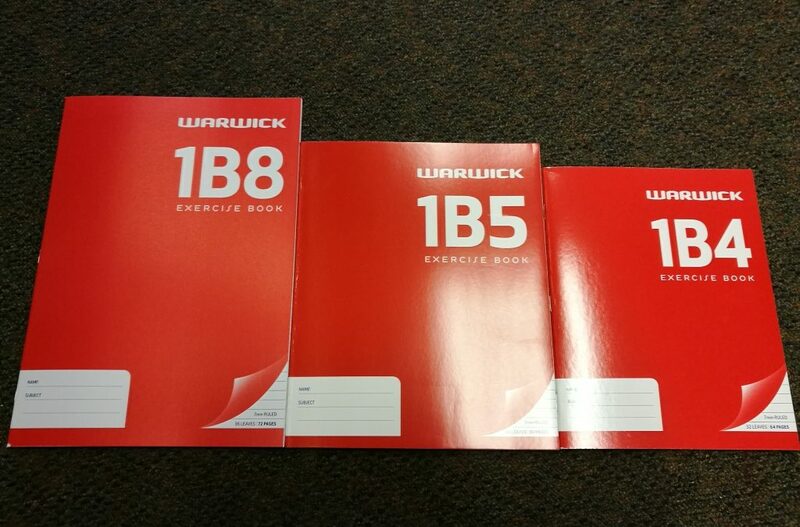 For Uni students, we start late February so you’ll need to get your exercise books at least a month in advance. Looks simple enough, right? No! This table tells you nothing about how many pages you get per dollar, or per line for that matter! So what’s the best book to get the most bang for your buck? First we’re going to need to count the number of pages in each book type. Well, that’s simple enough. Duh, it’s written on the front cover. Scroll up! So we’ve got our number of pages but they’ve all got a different number of lines per page! How infuriating! We’ll have to count them out by hand. Notice something? NCEA Level 1 Maths anyone?? Let me plot it for you! 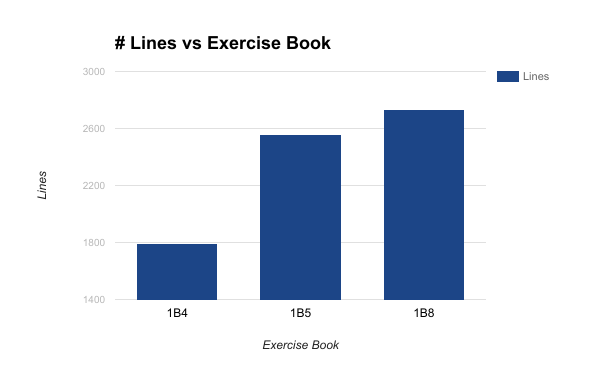 Ok, what I wanted you to notice was that the jump in number of lines from 1B4 to 1B5 is WAY larger than the jump from 1B5 to 1B8. That’s your first hint that something might be amiss. Why isn’t this jump linear? Also, remember to always label your axes and give your graph a title and your teacher everyone will be happy. Gasp! Would you look at that! The cost per line for the 1B5 books is a mere $0.00078 compared to a whopping $0.0008 for the 1B5 and $0.00091 for the 1B8. Ok, granted, I thought the difference would be a little bit more noticeable but when you take into account thousands of lines per book it all starts to add up! For a better perspective, let’s multiply the cost per line with the number of lines per page to get the cost per page. Then, multiply the cost per page by 80 to see how much it would cost if hypothetically each book were 80 pages! Sometimes I delve a little too deep into these things, but I love it. Yet more evidence why the middle child one is always the best. Hi there! My name is Samantha Woon and I grew up in Kuala Lumpur, Malaysia. aka some obscure country in Southeast Asia. I’ll be living at O’Rorke Hall in 2017; I haven’t even met them yet as of writing this but I know they’re awesome people (from what I gather from Facebook chats). I’ve chosen to study Engineering at Auckland Uni, mainly because… I dunno, why does anyone do anything? haha thanks Samantha, now I know how to save money.